This season we're asking everyone here at iMore to share some of their favorite gift ideas. Sure, there'll be iPhone, iPad, and Mac apps and accessories included on everyones' lists, just as you'd expect, but there'll also be other stuff, great, geeky, gorgeous other stuff that's as multi-facted and fun as the people themselves. It's my turn and I've found a couple must-haves for the gadget fanatics you'll be shopping for this year. Out of all the Apple devices that we've got floating around in our home, our Apple TV probably gets just as much use as our iPhones. It makes everything from streaming Netflix and Hulu to accessing your purchased content super simple. When we have friends and family over it's simple to share YouTube videos from our iPhones, iPads, and other devices straight to the larger screen. This year's Apple TV offers full 1080p making the viewing experience even better. There isn't a day that goes by that we don't use our Apple TV whether it's to stream music, access purchased movies, rent content, browse YouTube, or stream our favorite shows on Netflix and Hulu. At only $99, it's a no brainer if you've got a friend or relative that already utilizes other Apple products in their home. It'll make the perfect add-on companion and they'll love you for it. I've never been a fan of battery cases since they add so much bulk. Other solutions like the Mophie Powerstation not only give you a portable way to charge your iPhone (or any smartphone for that matter), but other devices as well. Since the input is simply USB, you can use your existing cables and charge whatever you'd like. Share it with friends, and pass it around. If you know someone who is always complaining about battery life, the Mophie Powerstation makes a great gift regardless what smartphone or tablet they have. They also pack a lot more power than a standard battery case backup can which means more charges. Running a business that specializes in iPhone, iPad, and iPod repair means I see a lot of water damaged devices. Lifeproof cases, if installed correctly, can eliminate water damage 100% of the time. If you have a friend or family member who is particularly clumsy with their iPhone, a Lifeproof case can make a great gift. Parents can also rest assured that if they're buying an iPhone for a child this Christmas that their investment will be protected. Not only does Lifeproof protect against liquid damage, it also provides a fair amount of protection against drops. When I first purchased my iPad mini I honestly did not think I'd ever use it. I figured I'd leave it at the office for work use but continue to use my iPad 3 like always. Boy was I wrong. I've never found a way to actually integrate the iPad into my daily life other than writing on it while out of the office and I only ever did that when a computer wasn't within reach. While I still prefer the standard size iPad with my keyboard case for writing, literally everything else is better on the iPad mini. I've actually found myself browsing on it a lot more than I ever did on any other iPad I've owned. The size is perfect for reading in bed or in a car and casually surfing the web on the couch. The iPad mini has become my go-to device for browsing, reading, playing games, and reading emails while my iPad 3 has remained at the office for heavier stuff. 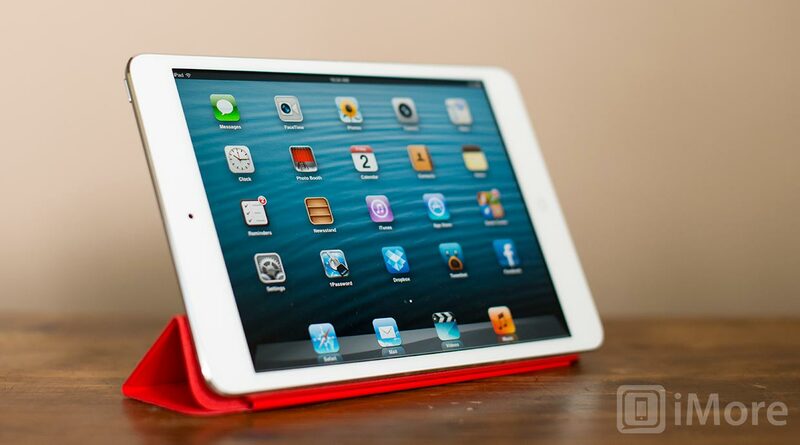 If you have a loved one who desperately wants an iPad for personal use, you can't go wrong with the iPad mini. I've never been a huge fan of the Android platform and the first few iterations of Windows Phone didn't really pique my interest but I've always been a fan of Nokia hardware back to the N95. It is still one of my favorite phones I've ever owned to date. It was amazing for its time. Windows Phone has come a long way in my opinion and Nokia makes some of the best hardware and mobile cameras in the industry and the Nokia Lumia 920 is no exception. Everything from the screen to the camera to wireless charging makes it one of the best Windows Phone offerings to date. While I have no intention of giving up my iPhone 5, there are people out there that don't want Apple products in their ecosystem. If you've got someone in your life that's really hoping for a new phone this holiday season but they don't want an iPhone, I'm positive they'd be glad to receive a Lumia 920. You can pick one up unlocked and contract free for $599 or on contract with AT&T for as little as $99. Because a girl can't live on gadgets alone!